High quality fresh style banner templates that you can use in many web design or app design projects. All icons (film, lens, road, pen, etc.) 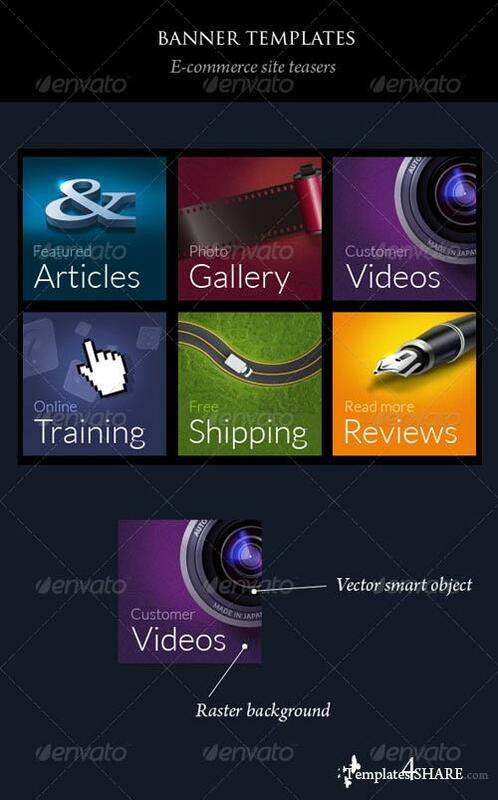 are vector smart objects scalable to any size. The backgrounds, shadows and textures are raster elements. Free 'Lato' font from google used for text. What you see on screen is 100% size.